Install one 2-car garage door where there was two 1-car doors. ForumsArrowRehabbing and House FlippingArrowInstall one 2-car garage door where there was two 1-car doors. 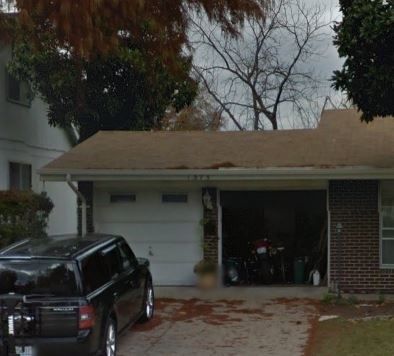 I have an '60s house that has a two 1-car garage doors that I would like to convert to one 2-car garage door. The doors both lead to one large bay, that is, there is not a wall between the garage doors spaces. The column between the garage doors is just there for architectural flair. I got a bid from Overhead Garage door for $4800 for a new door, operator, remotes, and the labor/materials to remove the column, patch concrete where column footprint was on the floor, and install a beam. I am sure they'll do a good job as Overhead has a great reputation, but the price is on the higher end. I got another bid for $1975 from a lesser known company for the same job; the contractor was found through Lowe's. This price seems unrealistically low, but there are working with Lowe's so I feel I have some leverage. What I have gathered is that the new beam put in for the door should be a LVL beam? What are other questions should I ask before giving the go-ahead for this job? i pay $1,150 for a new door, labor, materials, everything. never purchased an LVL beam, one that's under 20 ft is maybe around $300 (????) $2k for everything sounds like a good price. make sure they support that roof! That's good to know, because I really don't care to spend $4800. What are the dimensions of a LVL beam that would be sufficiently strong to do the job of holding it up? Or...what are the typical dimensions of a header, LVL or otherwise? Sorry, I don't follow...but I am starting to pick up on this lingo. Is that 2 x 4? What would then be sufficient for a 17-foot span? yes, that's a 2x10 or 2x12 x the length needed. i think the longest 2x is 16 ft. maybe they have them longer, not sure. i am not going to tell you what beam you need since i dont know everything else that's going on to calculate it. you gotta find that out. I dont think overhead door is licensed to do that work. You will need a structural engineer for using lvl beams. Questions, do you have structural cals for the work? Are you planning on getting a permit. @Paul Winka You will need to hire a licensed general contractor to do this job; it's not trivial. A permit should be pulled and the beam sized by a structural engineer. Yes, I'll need to get a permit. Not that Overhead Door is infallible, but wouldn't they know whether to contact a structural engineer or not? I asked the rep if this job was a big deal and they said they do them all the time. And...is an LVL beam the same thing as a laminated beam? I am under the impression they are the same. @Paul Winka Not that you are looking for opinions, but I always thought 2 doors was more valuable than one big door. Then you just open the door you need, and never have to show the view of the pile of boxes on the other side. Maybe it is the thing to do in your area, so my question is what the ROI of this project? @Paul Winka - Though it may not be required in your state or local jurisdiction, it would probably be best to hire a licensed/insured contractor to do this work and hire an engineer separately and directly to do the analysis/design. This is a fairly large sized job. What size are the doors now? A standard double door is 16', whereas if you have two 8' doors with a section in between, your double door width will be larger than standard. Has the cheaper guy taken this into account? Do you know if the exterior of the house will need to be reduced in width to get the door size needed? I prefer two singles over a double every time! Yikes. Should Overhead Door and a contractor that works Lowe's know these things? What's the typical fee associated with a on structural engineer to do an on-site consultation? Hiring an engineer seems to be the consensus on this thread, so that's probably what I will end up doing. So the engineer would write up the specs, drawings, and statement of work? If not, what? And what should I expect to pay? Doors are 8' each. New door would be 17'. That apparently is not a standard size? Neither contractor mentioned the exterior of the house will be need to be reduced to get the door size needed. Two singles over a double? Hmmm, maybe you could enlighten me as to why you like the two doors. IMHO, the doorways are too narrow--couldn't imagine two '60s era cars working any better! I am either going to hire a structural engineer to look at this or just abandon the two-car door plan altogether. This cost and hassle of this is looking more substantial than I want it to be for a house that is going to be a rental! just my opinion but most every house I have ever remodeled like that the column is most likely load bearing. An LVL is laminated veneer lumber. Basically it's OSB glued into a structural beam. First off, are the doors on a gable end of the house or is there an eave above them. The gable end is less load bearing than the eave end as a general rule. There are many factors to consider here without pictures. I am expecting a ROI of 9% after figuring in property management and capex reserve. Why do you like two doors instead of one? @Paul Winka - The PE would discuss your needs, measure/assess the existing conditions, provide structural support options, perform the analysis, size the members, and prepare the plans. The project may be simple enough that no specifications set is required other than what can be included on the plan sheets. That may also be the case with a statement of work and bid documents. It also depends on whether the engineer would oversee, inspect, and certify the work. Your local jurisdiction may adequate inspection services to suffice, but the engineer would probably be involved. (I have been very involved throughout the whole process on some projects and just in the discussion/design portion on others - the simpler the project, usually the less my involvement - which is probably obvious.) I am not in Missouri - so guesstimating - typical billing rates for a PE doing this type of work would likely be in $90/hr-$140/hr range and it would probably be about 4 to 12 hours of work (depending on existing conditions, needs, certification, location, etc). A local PE that does this type of work regularly, probably has the analysis routines set up in spreadsheets or other software, templates set up in CAD and word processor, and knows what local inspections department will require. LVL is same thing as laminate beam? The front of the garage door is on the eave end; here is a picture. So is the bottom line that I should just abandon this project and spend my capital elsewhere to add value to this rental? That's what it is looking like. Abandon the project. Going from a dbl to a single will not gain any value for you. To the layman yes they are the same but there are some exceptions. They will have some in stock LVLs at most lumber stores. Big box of usually special order. I also think it is load bearing just by looking at it. As to doing it that is up to you. I work exclusively for a large investor now and some of the things he does makes my shake head. But he just seems to make money off of it. I will say that exterior upgrades are one of the last things he does on his residential property. Unless it's roofing as needed or rotted wood. His commercial and industrial it's the first. @Paul Winka I believe a 17' door would be special order. Not that it will cost a lot more, but in my current case it takes 2 weeks longer to get. If they planned to span the entire length (17' as you describe) then they shouldn't have to do any work to either side. The headers over each door must go and a new full length one needs to be installed. A lumber yard would have the proper LVL. The LVL manufacturer also sizes the correct one needed, using an engineers loads. If you can do the loads yourself, you can save some money. If you need an engineer to run them, I can't imagine they would charge more than a few hours to do it. This is an awful lot of work for a rental. I prefer 2 doors over one, because my garage has my wife's SUV and my weekend/nice weather fun car and tools. I would hate knowing that every time she opened the door, my cars side door was open. Also I sit here with a broken garage door motor, yet still hve the other door working fine, whereas a single door I would be without any functioning garage door. @Paul Winka I mean your return for this specific garage project. Are you collecting more rent because you have one door instead of two? I still like two doors because, like other people have suggested, you have more control over the opening and what is being shown or not shown. I don't think renters care, and I think other renters would like two doors. In new construction, two doors is considered a nice luxury and costs more to build originally. This was one issue i had to explain to a partner, and it caused a lot of issues. I'm not specifically referring to a garage door, but modifying a rental property because you want it modified in a way that you would like if you lived there. This is your business, not a personal project. You are not going to live there. If the modification does not provide an adequate ROI, then don't do it.